LOUISVILLE — James Madison head coach Kenny Brooks did what most coaches do whenever they move on to the next opponent: he called another coach trying to get some intel. After his team drew DePaul women’s basketball as the No.11 seed in the NCAA tournament, Brooks made calls from DePaul’s previous opponents to take advice on how to slow them down. “We talked to one coach and his suggestion was just hope that they’re off because they’re a really good basketball team,” Brooks said. 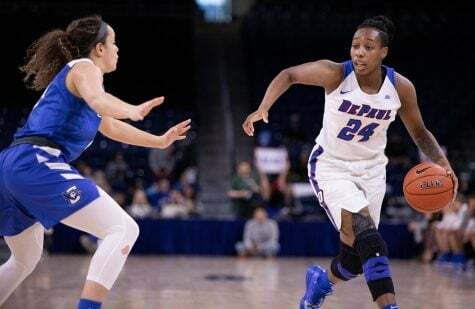 Brooks and the Dukes found out how destructive DePaul could be Friday as the Blue Demons earned a dominant 97-67 victory. But Brooks’ statement — “just hope that they’re off because they’re a really good basketball team” — still stands out. 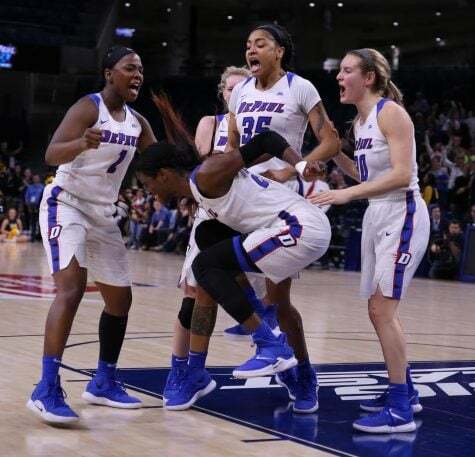 St. John’s certainly took advantage of DePaul being off when they used a 16-3 scoring run in the fourth quarter to shock the Blue Demons in a semifinals upset in the Big East tournament. Has the biggest problem for the Blue Demons this season been that they just go cold? Yet when they’re playing their best, the Blue Demons become ridiculous. And that’s just what DePaul needs to excel in March. The Dukes were supposed to challenge the Blue Demons. They hadn’t lost a game since January and entered the game with a 27-5 record in a very similar way that made the Blue Demons successful. They got up-and-down the court and wanted to beat DePaul at their own game. 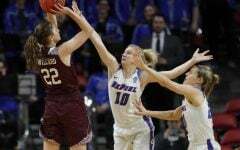 James Madison also presented a defense that was supposed to give DePaul fits. Before today, they spouted the best 3-point field goal defense in the nation, holding teams to 23 percent. 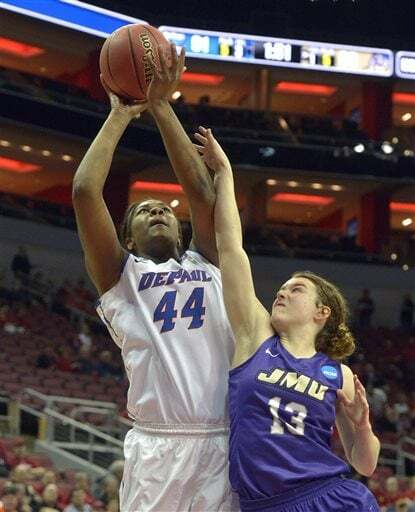 Instead, DePaul shot 55 percent from beyond the arc — draining 11 of 21 3-pointers. This is the third year in a row that DePaul has advanced to the second round of the NCAA tournament. Unlike the first two years, it was striking to see how easy it looked for the Blue Demons. 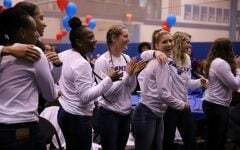 Last year, the Blue Demons stormed back to erase a 15-point deficit and top Minnesota. 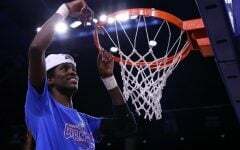 The year before that, DePaul needed to set an NCAA tournament record with 104 points to hold-off Oklahoma in a 104-100 win. 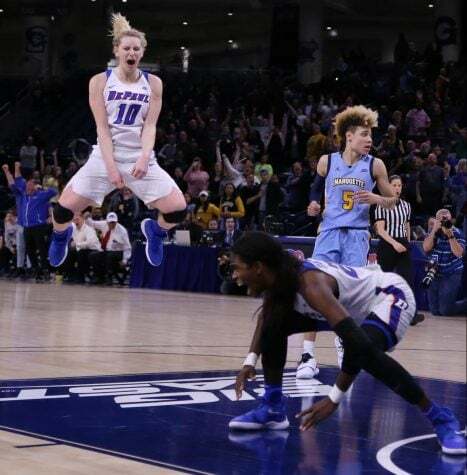 Ninety-seven points was actually the second-most all-time in a women’s NCAA tournament game, meaning DePaul holds the record for the top two highest scoring games. But 97 points was a formality with how lethal the Blue Demons can be when taking a balanced approach. 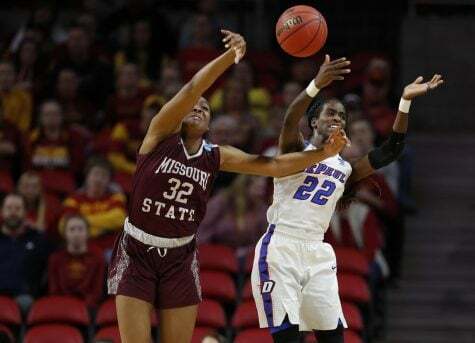 The Blue Demons were just as impressive on the defensive end, holding James Madison to 30 percent shooting. 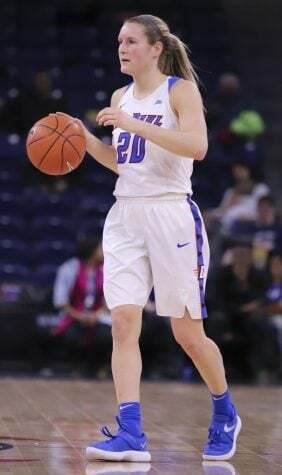 Furthermore, DePaul out-rebounded the Dukes 55-39. The 55 rebounds were another tournament record, the most since Oklahoma’s 50 boards in 1990. 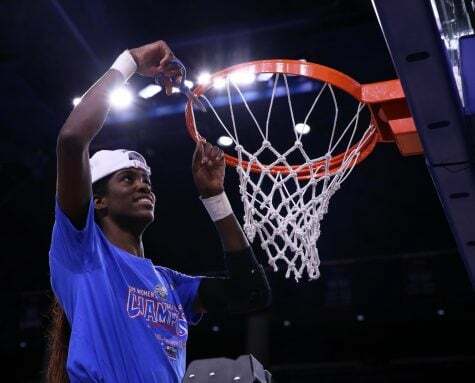 And they did it with major contributions from Jacqui Grant and Mart’e Grays, two players who have been searching for consistency under Bruno’s system. 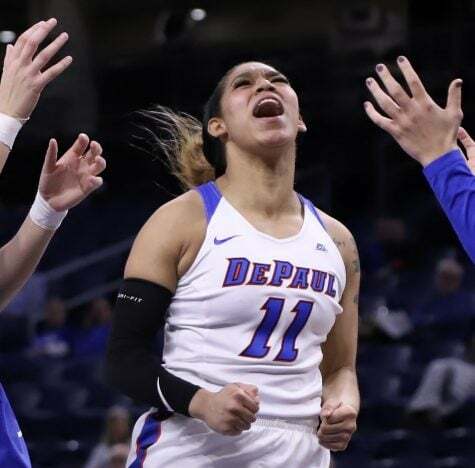 It’s that effort — whether it’s rebounding, making the extra pass or committing to defensive stops — that can propel DePaul to heights the university has never achieved. The dynamics of women’s college basketball make it so that Connecticut and Notre Dame are clearly number one and two, but there’s space to make a dent below them. Maybe this is the year DePaul can do so. 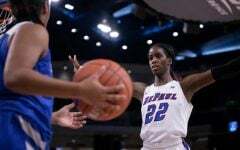 And when DePaul is focused — watch out.